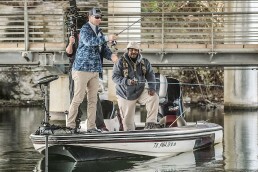 At the top of Minnesota, a gem of a fishery awaits anglers willing to ply cold, early-season water temperatures and unpredictable weather for the Minnesota Fishing Opener on May 13. This vast body of water is an expanse of 275,000 acres, straddling the northern border with Ontario and features multi-species action. 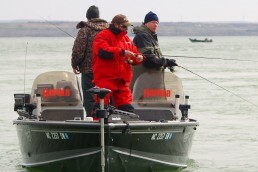 While huge ice-out crappies lure anglers to kick off the open-water season, it’s the primary gamefish species—walleyes, smallmouths, pike—that offer the greatest temptation to explore Rainy Lake in mid-May. 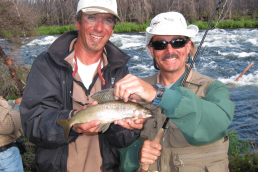 This popular tourism destination attracts families and fishermen in all seasons, with the height of summer providing a water-based playground for fishing, water sports, houseboating or simply enjoying quality time in the Minnesota’s Northwoods. The resorts here can fill up early for peak dates, so advance planning and research is recommended. 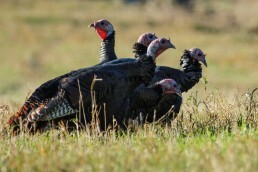 However, because mid-May weather in northern Minnesota delivers a potential mixed bag, you can usually find last-minute accommodations or rent a houseboat to explore this waterway during the early season. Rainy Lake is home to Voyageur’s National Park, meaning you’ll encounter a setting that feels mostly pristine and beautiful. But it’s the fishing action that is the main attraction. 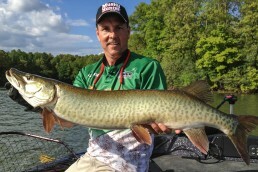 Minnesota’s state fish tops the list of gamefish species you’ll encounter on Rainy Lake. In May, focus your efforts on shallow shorelines—especially gravel and rubble substrate—where post-spawn fish roam. 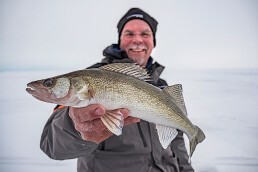 If you’re catching the smaller male walleyes, try shifting your efforts to the deeper edges to nearshore locations where lazy post-spawn females will be laying. Tapering underwater points and shorelines bordering the main-lake basin are key locations too. The combination of spawning habitat and ample bait for walleyes to feed on tends to keep fish shallow well into early June. 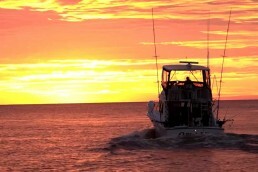 The deep, open-water basin and main lakes’ reefs don’t become popular fishing spots until July. Employ tactics such as lightweight jigs tipped with live bait (minnows) and work your way along the shorelines seeking active fish. Often, walleyes will be in loose schools along these areas and roaming the edges, so when you contact fish be sure to slow down and strain the water with casts. Many anglers these days choose soft plastics versus live bait. Artificials can catch just as many fish as live bait, with an added bonus of durability. Repeatedly reaching into cold water in a minnow bucket on a nippy May day can change your preferences in a hurry. 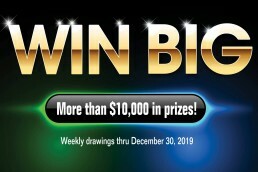 If you’re a die-hard live-bait fisherman, try the Take One Minnow (outkasttackle.com) that selects an individual minnow from a bucket for you. To cover more water, switch to casting smaller, shallow-diving crankbaits and jerkbaits along the shorelines. Wobbling presentations like Rapalas trigger strikes, hooks lots of fish, and can catch bigger fish more consistently than a petite jig. 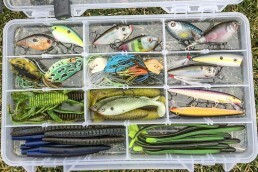 Favorite lures for me are Rapala DTs and number 5 Scatter Rap Shads and the new Shad Dancer. I throw the Husky Jerks and Shadow Raps/Shadow Rap Shads for jerkbait choices. 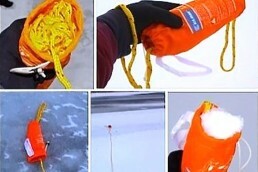 Tip: if you encounter water temperatures hovering near 50 degrees, X-Raps and CountDowns are awesome coldwater options. 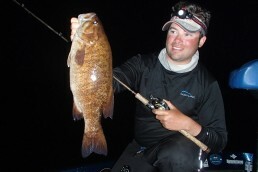 Rainy Lake is a premier destination for smallmouth bass. 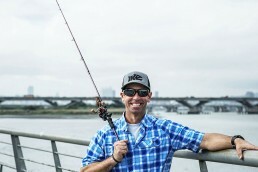 Although a short growing season means an 18-inch fish measures “big” on Rainy, the allure of this fishery is the sheer number of fish you can catch in a day. 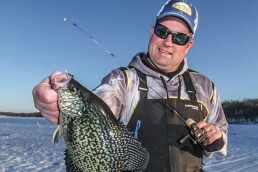 Colder early-season water will have sluggish, pre-spawn fish, but jerkbaits and finesse plastics can trigger bites. 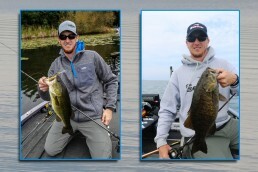 Water temperatures in the mid- to high 50s bring on the spawn, and the flurry of bass action along shorelines from May through June can be phenomenal. 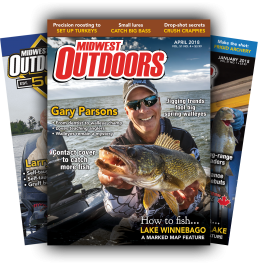 Often, Rainy Lake walleyes and smallmouths will be mixed together along the shorelines when the spring and early-summer bites are peaking. Bruiser northern pike prowl these waters, and savvy pike anglers know to target murky, muddy backwater bays immediately after ice-out for a chance at numbers of huge fish. However, once the backwaters warm to 60 degrees or more, the sows pull out of the shallows and migrate to the deeper, cooler main-lake basin. 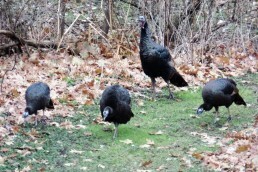 In mid-May, plenty of giants will still be in 2-6 feet of water, far back in the bays. 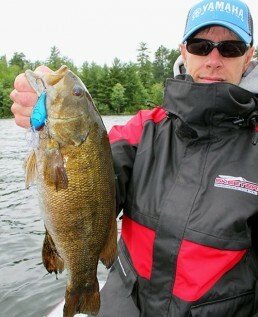 Throw topwater presentations and use slow-fall, weightless swimbaits and jerkbaits or a big white spinnerbait. 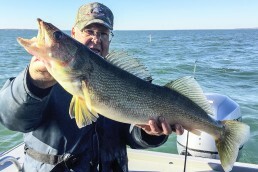 By midsummer, the pike are suspending in the basin and walleye anglers on reefs sometimes can see huge pike grabbing the walleyes from the line while they are being reeled in. And later in the fall, trolling for northern pike along the 15- to 25-foot shoreline breaks produces big fish. 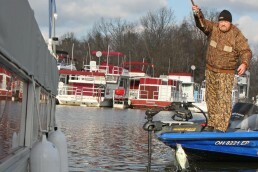 After ice-out for this northern-tier lake, a chance at great multi-species action and plenty of big fish is attainable. 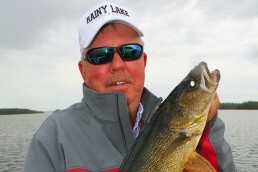 Rainy Lake undoubtedly should be a top choice for the opener this year. Ron Kruger has been communicating the outdoor experience for more than four decades. 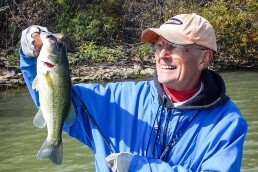 He has worked as a full-time guide for trout on the North Fork, for crappies and bass on Kentucky Lake and for smallmouths on the Current River. 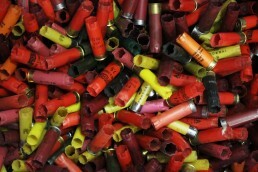 He has served as editor of three outdoor magazines, and owns a patent on a fly/lure called the Desperate Diver.